Africa is the Second biggest continent, which follows after Eurasia. About 22% of all land territory. The total area of ​​Africa is 16 million square kilometers. 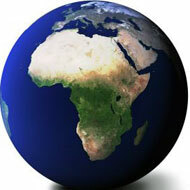 The African continent is the oldest occupied area on the earth. The central part of East Africa is considered by many scientists as the place of origin of humans and apes. The earliest remains of Homo sapiens were found in Ethiopia, and their approximate age is estimated to be 200,000 years old. The English scientist Charles Darwin, was the first who suggested that the ancestors of human beings were descended from Africa. However, prejudice to the inhabitants of this continent has led many people in the West oppose this idea up to the 20th century. There are several hypotheses concerning the origin of the word Africa, but the majority in the field of etymology are inclined to believe, that the first part of the word «Africa» - this is the name of a tribe, who lived in North Africa, near Carthage in the 3rd century BC. A « ca» is a Latin suffix denoting «country», «earth». At the present time the population of Africa is about one billion people. For the past forty years, there's been a population explosion, and so the average age of the population of the continent is relatively low. In many States in Africa half of the population is under the age of 25. 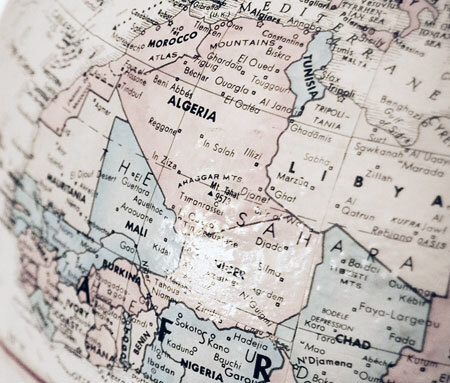 Although the population of Africa is nearly 16 percent of the world's population, a quarter of languages existing on the planet, is spoken only in Africa. The Arabic language, represented by various dialects, is the most widely spoken language in Africa. 170 million people speaking this language, live mainly in North Africa. In addition to Arabic, spoken on the continent additional 2,000 languages. Ancestral home of all languages in the world is Africa. To such conclusion linguists came, having conducted numerous researches. Egypt is the most attractive for tourists African country mainly because of their pyramids. But very few people knows, that in the Sudan, there are 223 own pyramid, which is two times more than in Egypt. They are less and regulations than their Egyptian «rivals», therefore, is not so popular. Including the disputed territory of Western Sahara and the adjacent island States, in Africa, there are 54 independent States. Nigeria is the most populous country in Africa, with a population of up to 145 million people. In the second most populous country, Egypt, home land for more than 76 million people. The most occupied city of Africa is Cairo, the capital of Egypt. In the territory of this megalopolis lives about 17 million people. The largest country of Africa - it is Sudan. Its total area is 2, 5 million square kilometers. The smallest country in Africa - Seychelles, whose territory is a total of 453 square kilometers. Africa is the poorest and undeveloped continent, despite rich natural resources. On the average the poor person from the non Arab part of Africa lives on 70 cents a day. More than 17 million Africans living to the south of Sahara, died of AIDS, and experts consider that now there live, at least, 25 million HIV-infected. About 90% of cases of diseases of malaria occur in Africa, and 3000 children die here of it every day. Through Africa runs the world's longest river - the Nile, the length of which is 6650 kilometers. 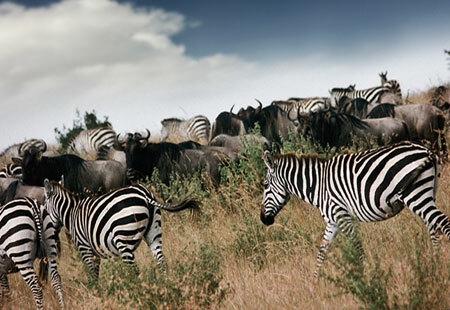 On the African continent, large wild animals is found much more than any other. 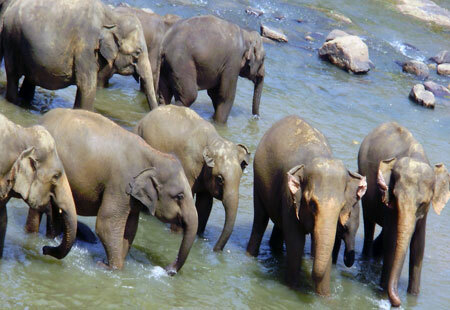 There are species such as elephants, hippos, giraffes, lions, antelopes, ostriches, etc. Africa is the house for the biggest "land" animal. The African elephant can reach weight from 6 to 7 tons. 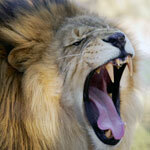 Four of five most swift-footed animal species live in Africa: Cheetah, antelope gnu, lion and Thompson's antelope. All of them can run with a speed more than 80 km/h, and the cheetah can gather speed to 112 km/h. Africa is very known for the rich gold deposits and diamonds. A half of extracted gold and diamonds in the world is the share of this continent. In Africa there is a lake Malawi, which happen to be living place for the most species of fish. In Africa there is one of wonders of the world – pyramid of Cheops, the only thing remained up to now. The African Lake Victoria is the second-large fresh-water lake in the world, having stretched in the territory of 69 490 square kilometers. In Africa virtually disappeared Lake Chad, which was four largest. Over the past 38 years it has become 95% less in size. In Africa, namely in Ancient Egypt, there were first toilets and sewer systems. Egyptians very much thought much of purity. The area of only one Sahara Desert in Africa is slightly less than United States of America. Earlier this place was very fertile, but eventually and changing weather conditions turned into the desert. Among inhabitants of Africa there are smallest and highest people in the world. Africa is located most centrally in relation to world system of coordinates. It is crossed also by a zero meridian (0 degrees of longitude) and the equator (0 degrees of latitude). In 1974 in Ethiopia close to Xadara was found the skeleton of Lucy, who lived approximately 3.2 million years ago, human beings, which is defined as the common ancestor of mankind. In 1979, in Tanzania, in the region Kibish, were found the most ancient footprints of the man. These two discoveries became irrefutable evidence, that mankind originated in North-Eastern Africa. The most ancient civilization originated in Africa was state of the pharaohs in ancient Egypt. It started about 3 300 years BC and ended in 343 year before the birth of Christ. Before the appearance of Egyptian civilization Africa was mainly inhabited by tribes of hunter-gatherers not prone to the development of the statehood. Scientists believe that the first experience of the domestication of animals belongs to the people who lived in Africa for 6 thousand years before our era, long before there were domesticated plants. Europeans first arrived on the northern coast of Africa, about 332 BC, when Alexander the Great came to Egypt and founded the city of Alexandria. Soon after, the Roman Empire began to include the northern coast of Africa in empire. By the first century of our era Africa subdivided into three parts: Egypt, Libya and Ethiopia. The name Ethiopia belonged and to other part of the continent which was to the south of the Sahara Desert. Please feel free to suggest your own interesting facts about Africa. All high quality submission will be published on our website. Have A Great Story About Africa?